West Hartford Public Schools is pleased to introduce a new communications tool called Anonymous Alerts® for middle and high schools. 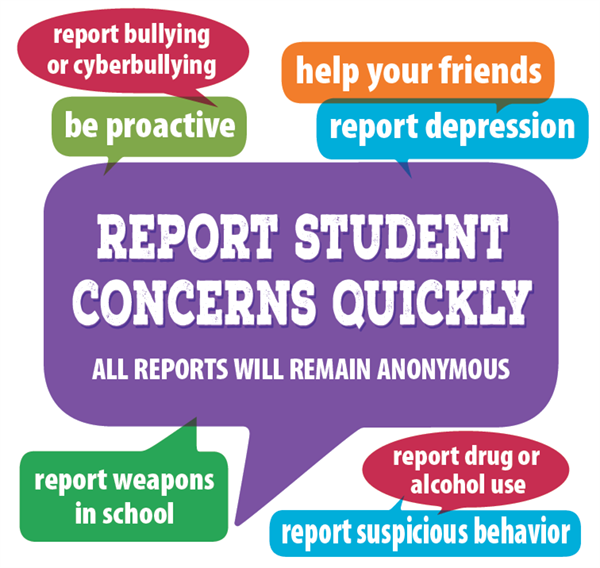 The Anonymous Alerts anti-bullying and safety app reporting system helps combat bullying and other negative activity in WHPS middle and high schools by empowering students to speak up. Social and peer pressure are some of the hardest obstacles for students to overcome. To use this revolutionary new app, students, parents or other school personnel can simply visit the West Hartford Public Schools website and click on the “Anonymous Alerts” button or text link to submit a report expressing their concern. Anonymous Alerts® mobile applications can be downloaded directly from the Apple, Google Play or the Chrome stores. West Hartford Public Schools supplies students an activation code, making the app remarkably easy to use and students select which school the message should go to. In addition, informational posters explaining how to use the app will be displayed throughout schools and offices in the district.